Reduce equity gaps across all of the above measures through faster improvements among traditionally underrepresented student groups, with the goal of cutting achievement gaps by 40 percent within 5 years and fully closing those achievement gaps within 10 years. 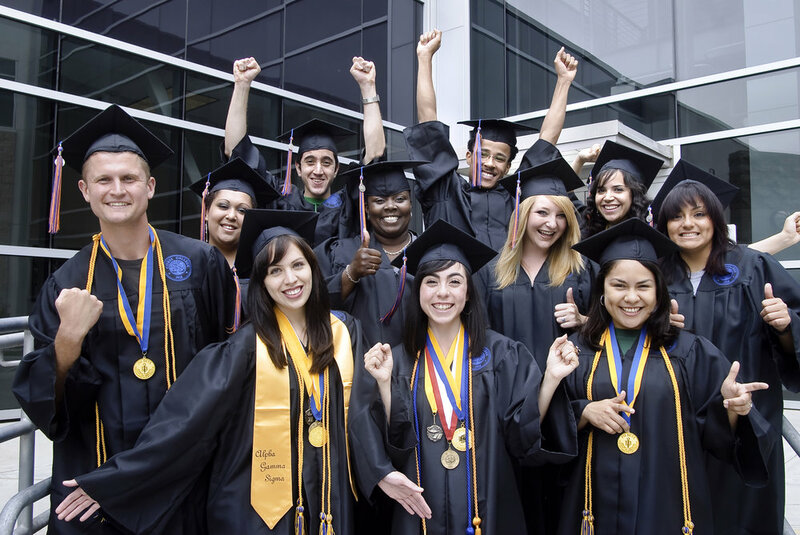 Over five years, reduce regional achievement gaps across all of the above measures through faster improvements among colleges located in regions with the lowest educational attainment of adults, with the ultimate goal of fully closing regional achievement gaps within 10 years. In order to reach the ambitious system-wide goals proposed above, each college will need to do its part. Many colleges have already set goals as part of a system-wide or local effort and do not need to start from scratch—they should continue to use their goals as planned. However, every college should ensure their goals are aligned with the systemwide priorities and goals above, to ensure that the entire system is moving in a consistent direction. Additional analysis by Public Policy Institute of California, by special request (2017). Source of statement about growth in occupations requiring bachelor’s degrees: Centers of Excellence for Labor Market Research, by special request (2017).